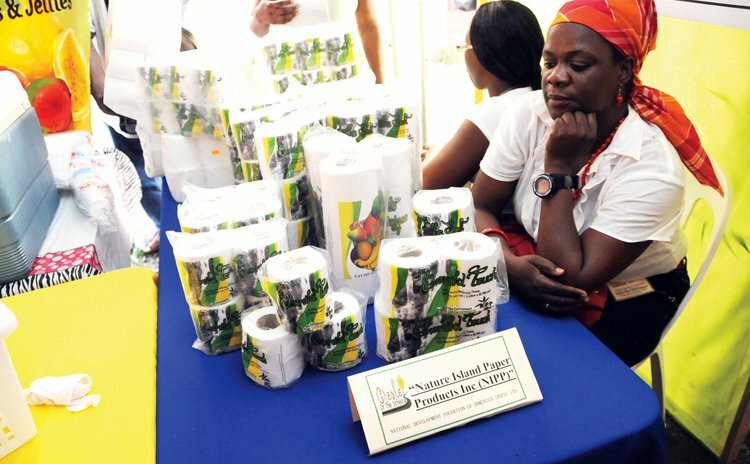 Severin McKenzie, the Managing Director of Nature Islands Paper Products Inc. says that despite a delay in the arrival of raw materials his company was still able to meet some of its obligations in the supplying of toilet paper. Customers and users of the product expressed frustration that over the past month they were unable to purchase the toilet paper. McKenzie says that situation is now back to normal. "We experienced a delay in the arrival of our raw material from Trinidad & Tobago and because of that we ended up with a shortage of the products on the market," he said. "I can now say to you that we have since overcome that problem and we are now in full production". McKenzie explained that NIPP has some customers who are not resellers of the product (Ross University, Princess Margaret Hospital) but are significant customers. "We had a back log of an order for Ross University and we want to thank them for bearing with us. They understood our difficulties and put in place some brief logistics to deal with it and now that we are back on track we are supplying them with their order. We just don't want to get back into that situation again…it's not at all good for business." The seven-year old company is the island's lone manufacturer of toilet paper named "Falls Soft and Emerald Touch" and McKenzie said they are working "assiduously" on the expansion of their facilities. "In the 2017/2018 national budget, some provisions were made for the manufacturing sector and we are hoping to take advantage of what is being made available," he said. "This means that we will now be able to go into the production of new products. Come January 2018 you will be seeing quite a number of new products on the market and the expansion of Nature Island Paper Products," McKenzie said. According to McKenzie, the company's main challenge continues to be the competition and importation of the products. "It is hard to overcome especially since we have a small market. With the expansion that we are going into the quality of the product will be much improved and the variety of the product that we have is going to be broaden. We are going to have many more products on the market and face the competition. Paper towels and table napkins will be on the market come January 2018 and to add to that it must be noted that our products are not inferior to the other imported brands," he said. He continued: "We don't have the complimentary infrastructure in place to make the manufacturing process easy or more competitive. St. Lucia has the cardboard, glue and packaging factory. The guy who manufactures toilet paper in St. Lucia simple goes next door to get what he needs. We have to go to St. Lucia, Barbados and or Trinidad. We have to invest in at least a packaging plant here in Dominica and we have been speaking to the powers that be about that. "This is very important and we are confident that we will be able to expand and we have the Cuban market that is available for our products. All we need to do is put in the necessary machinery to facilitate the process."